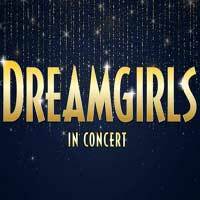 Full of onstage sparkle and backstage drama, the Tony and Grammy Award-winning musical Dreamgirls tells the rags-to-riches tale of a fictional 1960s Motown girl group based on the stories of real-life acts like The Supremes and The Shirelles. This concert production, presented with minimal sets and costumes, shines the spotlight on Tom Eyen and Henry Krieger’s powerhouse, Tony-nominated songs, which reverberate with pulsating gospel, R&B, pop and disco rhythms. Songs like “Steppin’ to the Bad Side” and “Cadillac Car” will rev up your heart, and the emotion-packed “(And I’m Telling You) I’m Not Going” will rattle the rafters of Thousand Oaks Civic Arts Plaza. Don't miss this Motown-infused party full of soulful vibes.